HCCAA is hosting a VISION meeting for all the businesses/non-profits/local government officials/assistance programs/service providers/etc. 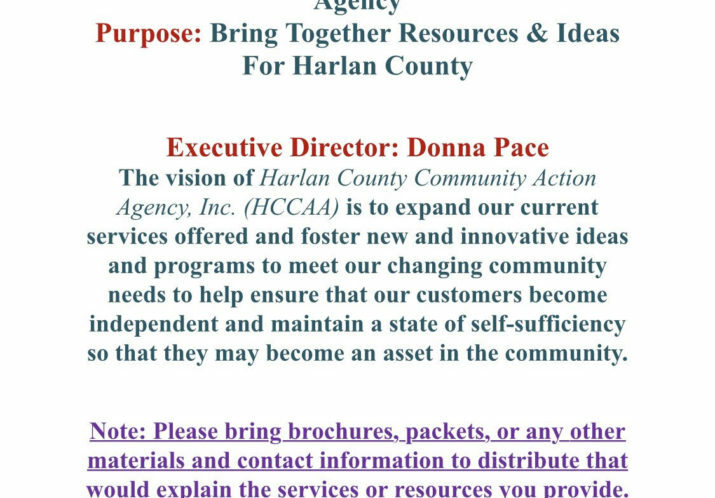 with resources available to the Harlan County Community. We will discuss the Harlan County Community Needs Assessment Results and ways we can join together to meet those needs!